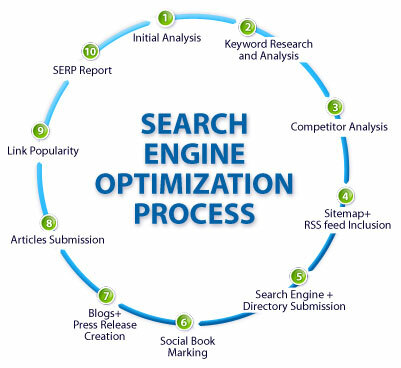 Search engine marketing, or SEM, is a form of Internet Marketing that seeks to promote Website by increasing their visibility in result pages (SERPs) through the use of Search Engine Optimization, paid placement, Pay per click, Contextual advertising and paid inclusion. Social Media Marketing leads to a lot more talk about your brand online. Through SMM you can directly interact to your targeted customers by building awareness of your product and also get instant feedbacks, which will help in providing better product and services. In SMM services you interact with the like minded and you can discuss the features and functionality of you product. Social media marketing is a term that describes use of social networks, online communities, blogs, wikis or any other online collaborative media for marketing, sales, public relations and customer service. Our SEM campaign management services are more than just a do-it-yourself keyword bidding and ROI tracking solution. We offer a complete managed integrated SEM Campaign Management program, which includes identifying measurable client campaign objectives, web site usability and conversion evaluation, competitive analysis, keyword research and selection, tactical plan development and implementation, cross media reporting support, campaign assessment and recommendations; and assistance with the development and testing of text ads and other creative, as well as landing pages. We actively work with our clients to manage their campaigns and ensure that they surpass their marketing goals.